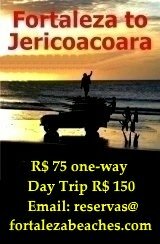 The Jericoacoara Hotel Guide is a LOCAL guide! 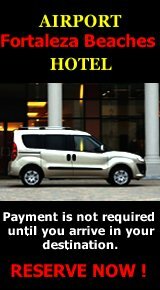 Unlike most guides we list only the best hotel options. 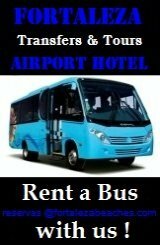 Hotels that are most popular, recommended, and visited by people who live and work in and around Fortaleza, Ceara. TheVila Kalango Hotel Jericoacoara has been considered one of the best places to stay in the village since it opened in 1999. Offering its guests everything a good hotel should and then some. 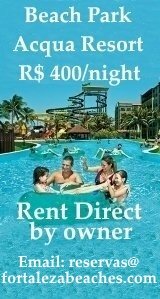 Make your reservation with the Vila Kalango Hotel from the e-mail form on the following page and get the FORTALEZABEACHES.COM discounted rate for your accommodation!. For more photos, discount rates and availability for the Vila Kalango Hotel click here. The My Blue Hotel is located in the middle of Jericoacoara's beach. Yet just a few steps from the main shops and restaurant in the core of the village. With stunning views in every direction. This hotel also features a spa, beach bar and a restaurant, where breakfast is served for free. Each of the guestrooms has colored walls and is equipped with stylish Brazilian furniture. Some rooms also offer views of the ocean and the dunes. For more details, photos and to check availability for the My Blue Hotel click here. The Surfing Jeri Hotel/Pousada Jericoacoara is located in the middle of Rua Sao Francisco just a few steps from Jericoacoara's infamous beach, sunset and nightlife! The pousada has been a favorite amongst the wind and kite surfers for many years now. The Pousada Surfing Jeri offers an enchanting harmony between its architecture and the natural surroundings, only 70 meters from the beach. All the apartments include air-conditioning and there are bungalows with a private balcony and hammock. All accommodations feature free internet connection and other amenities. For more info, photos and reviews for the Surfing Jeri Hotel click here!